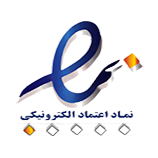 با توجه به سیاست جدید جومشیپر مبنی بر فعال شدن برخی قسمتهای صفحه ساز نسخه 3 با لایسنس امکان استفاده از 2 بخش قالبهای آماده صفحه ساز و Section در این نسخه را فعلا ندارید .
" قالبهای آماده جدا به پنل اضافه شد میتوانید دانلود و نصب کنید "
Gradient & pattern overlay options added to row background settings. Gradient & pattern overlay options added to column background settings. Contact Form addon form field styling options added. Testimonial Pro addon typography styling options added. 3 predefined styles & typography styling options added to the Person addon. Icon addon link target option added. Row background YouTube & Vimeo video loading issue fixed. Image Overlay addon subtitle upprecase issue fixed. Open Street Map addon added (Pro). Video addon Vimeo video issue fixed. Parallax system reverted to original. Frontend editing break issue fixed. Warning message where no addon folder is detected. Added alphabetical and random item order options in Article addon (pro). Show author alias name option added to Article addon’s list (pro). Included sender name, phone, email and GDPR in the mail body (pro). Added GDPR & reCAPTCHA in Optin Form addon (pro). Ajax Contact Form addon button center and right option added (pro). Carousel Pro addon class added in every item (pro). Smart search for article & page issue solved (pro). Parallax scrolling issue fixed (pro). Instagram Gallery addon renovated & height issue fixed (pro). Site development speed issue fixed (pro). Drop down menu issue with Helix3 in tablet fixed. Modal SEO for image selector alt issue fixed (pro). Icon group bug in accordion or tab fixed (pro). "Libre" font selection frontend crashing issue fixed (pro). Carousel Pro addon responsive issue fixed (pro). Row background video loop issue fixed (pro). Fixed notice undefined property: stdClass::$subtitle. Row drag and Drop padding feature added (pro). Inline editor issue fixed (pro). Media Manager image or media item's title issue fixed. Frontend left side bar text editing issue fixed. Email sending issue fixed in contact form addon. Inline Editing ability added (pro). Added Facebook app ID option (pro). Added Phone Field in contact form addon (pro). Pricing addon: "Price Font Size" responsive not working in frontend edit issue fixed (pro). Carousel pro addon: Responsive image and video issue fixed (pro). OptIn form addon: if Button custom is enabled and font size empty then "Send Button" is empty on frontend issue fixed (pro). Button addon : button padding responsive not working issue fixed. Image Content addon: Button Style Not working issue fixed (pro). OptIn form addon: Description text preview code and margin issue fixed (pro). Tab addon: Icon color not working issue fixed. Carousel & Carouselpro addon: stdClass undefined notice issue fixed. Font family missing issue fixed in the preview. 19 new predesigned templates (Pro). Helix Ultimate compatibility added (Pro). SP Page Builder backward compatibility added. Article addon’s item sorting improved (Pro). Social share addon’s count issue fixed (Pro). Image addon's dualimage issue fixed in frontend editing. Timeline addon’s responsive issue fixed (Pro). Gradient background for buttons (Pro). Testimonial pro js error and show controls (Pro). double CSS code with k2 (Pro). Modal popup image issue (Pro). Flip box iOS issue (Pro). Row copy paste duplicate ID (Pro). Builder type reorder for backend. HTML decoding issue for modules. border styles for flipbox (Pro). Removed Addons: Blockquote, Call to Action, Drop Cap (Now you can use drop cap with Text Block addon), Facebook Like, Facebook Likebox, Google Plus Button, Twitter Share. Show video and audio in article Addon (Pro). Flickr SSL issue fixed (Pro). Twitter SSL issue fixed (Pro). Infinity Loading Icon issue in OptinForm Addon fixed (Pro). Falang Extension Compatibility bug fixed (Pro). Search Limit Issue fixed (Pro). PHP error warning in empty space addon fixed. Button responsive issue fixed in Carousel Addon (Pro). Others minor fix and improvement added (Pro). AcyMailing integrated with optin form addon (Pro). Page Builder Module bug fixed (Pro). Brand new optin subscription form addon included (Pro). Added German (deDE) language (Pro). Style options added to title, pricing text, and button in Pricing addon (Pro). Text insertion option added to icons and images in the modal selector of the Modal addon (Pro). Addon article all category select error issue fixed, k2 & Joomla article (frontend and backend). Addon contact form email sends issue fixed (overwritten old template). Article addon, selected categories issue fixed. Image Content, title font size, and color change visibility in frontend issue fixed. 7 New templates added (Pro). FaLang multilingual site development support added (Pro). Row video background external video YouTube/Vimeo support (Pro). Box Shadow for all addons and column. Responsive option for Carousel Pro Title, Content and button (Pro). Social Addon Icon Alignment (Pro). UX : Apply and Cancel buttons in top corner of addons. Flipbox addon background image URL issue fixed (Pro). Google Map info window added (Pro). Twitter addon now displays tweet images as well (Pro). Span and br tags now allowed in text field. Image addon gets Alt and Title attribute fields. Gallery addon width issue in IE fixed (Pro). Modal close button behind fixed header issue solved (Pro). Article addon gets multiple categories adding option (Pro). Article addon subcategory items display option (Pro). Contact Addon form added Google reCaptcha system (Pro). Contact form addon added new field 'From mail' and 'name' (Pro). External image URL add option in the row. Icon addon added link option. call to action addon empty button padding issue fixed (Pro). Fixed custom class issue in row and addon. Carousel and Carousel Pro addon custom button issue fixed. Added popup option in Flickr Gallery (Pro). Flickr and Instagram addon curl added (Pro). Padding option in custom button. Article addon improved on k2 (Pro). Magnific Popup conflict issue fixed (Pro). Flip box addon added (Pro). K2 Schedule post issue fixed (Pro). Frontend tinyMCE editor menu issue fixed (Pro). Carousel pro blank content warning issue fixed (Pro). Tweet addon module error issue fixed (Pro). Frontend editing row background image issue fixed (Pro). 6 Brand new template layouts (Pro). Equal height background issue fixed. Heading addon font weight issue fixed(Pro). Feature addon padding issue fixed. K2 Support on article addon (pro). introduced "cURL" for integration support (pro). Column equal height issue fixed in safari. Overlay background issue fixed for column. Instagram error issue fixed (pro). Timeline Addon improved in responsive (pro). Twitter Feed addon improved (Include Retweets and Ignore Replies) (pro). Article issue in JCE fixed. Contact addon form improved, style for send button (pro). PHP minimum required version changed to 5.4. Row unexpected white space issue fixed. Module Pagebuilder style and background add issue fixed (Pro). Module Pagebuilder frontend language issue fixed (Pro). Module SP Page Builder html data not saving issue fixed (Pro). Row third party video issue fixed. Equal column responsive issue fixed. Article integration JCE bug fixed (Pro). Addon Google Map hover mouse scroll issue fixed (Pro). Addon Countdown Language string issue fixed (Pro). Addon Accordion on/off all items feature added. Addon Button Group only show icon issue fixed (Pro). Addon Feature individual padding option (top, right, bottom, left). Long text button issue in responsive. Addon Settings “Access” visibility issue for IE/FireFox fixed (Pro). PHP old version error message. JCE 2.6.2 and 2.6.3 compatible (Pro). Article integration issue fixed (pro). Import Bug bug on windows PC fixed (pro). Media input in repeatable issue fixed. JCE Editor 2.6.x compatibility added (pro). Container option added in global settings. Firefox import & export issue fixed (Pro). Import JSON layout from old SP Page Builder version to SP Page Builder 2 issue fixed (Pro). Article addon show/hide (author, date, category, etc.) issue fixed. Content link issue fixed in Image addon (Pro). Image link issue fixed in Feature addon. Empty addon responsive settings improved. Person addon email address field added (Pro). Joomla article integration plugin improved (Pro). K2 integration plugin improved (Pro). J2 store plugin integration improved (Pro). SP Page Builder default search issue fixed (Pro). Carousel & Carousel Pro button target issue fixed. New Page layout export and import option ( Pro only ). Added option to disable fontawesome and default css. Added option to search addon. Updated into FontAwesome 4.3 it means 519 pictographic icons ready to use. Added fontweight property (bold, normal) option to all addons titles. Added Ajax Contact Addon  (with Math Captcha builtin) ( Pro only ). Added Image Content Addon ( Pro only ). Added Button Group Addon ( Pro only ). Seven completely new buitin templates, such a: About Us, Corporate page, Pricing table or Our team. Text input bug for repeatable items. We also added missing language strings. سایت خود را به صورت آنی بسازید . جستجو در بین صفحات ، ویرایش ابزارها ، مشاهده تغییرات با کشیدن و رها کردن ابزارک ها به صورت آنی ! شما با صفحه ساز میتوانید با سرعت بسیار زیاد و همچنین استاندارد بالا با قابلیت ریسپانسیو بودن صفحات طراحی خود را انجام دهید . بدون کدنویسی طراحی کنید ! SP Page Builder یک صفحه و محتوی ساز حرفه ای برای جوملا میباشد که شما میتوانید با این افزونه طراحی های حرفه ای و زیبا را در چند دقیقه انجام دهید شما میتوانید بدون کدنویسی موقعیت ایجاد کنید موقعیت حذف و و یرایش کنید ، میتوانید ستون و سطرهای مختلف برای قرار دادن ابزارک یا مازول ایجاد کنید . زمانیکه شما از صفحه ساز در طراحی صفحات خود استفاده میکنید 100% تضمین میکنیم که صفحات شما به صورت اتوماتیک ریسپانسیو خواهد شد و دیگر نگران کدنویسی های خود نباشید . با سلام لینک های دمو کار نمیکند ! دمو در حال جابجایی میباشد بزودی فعال میشود . چندتا سوال دارم خیلی از لطفتون سپاسگذار می شم راهنمایی نمایید. 1. آیا با این افزونه میشه از امکانات ویرچومارت استفاده کرد. مثلا محصولات رو با قیمت به این صفحه اضافه کرد. 2. آیا می شود از صفحه ساخت شده به عنوان قالب خبرنامه استفاده کرد. مشکل تاریخ مرتبط با افزونه ها نمیباشد ، از سمت جوملا 3.4 به بعد تاریخ شمسی مشکل دارد . سلام. لینکهای دمو کار نمیکند. لطفاً بررسی نمایید.